Un ottimo Truggy da competizione fornito in kit di montaggio. 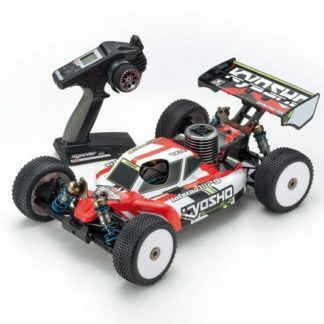 Questo kit necessita di numerosi componenti per poter essere pronto a correre. 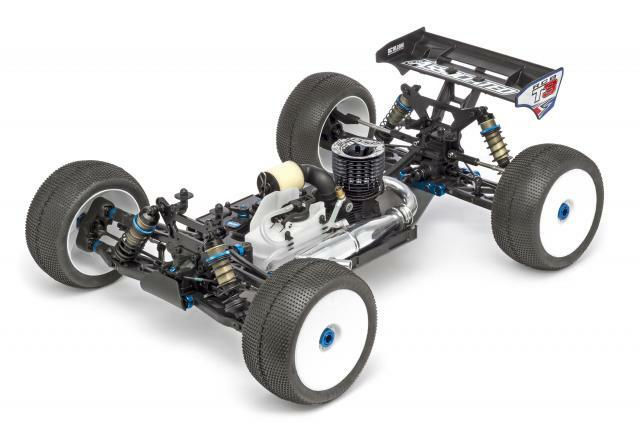 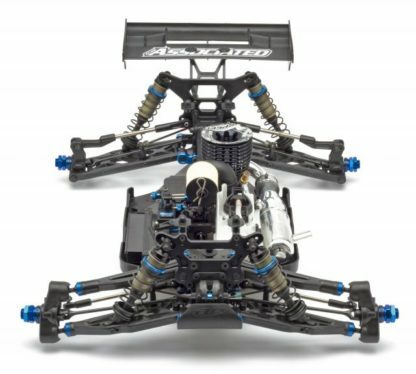 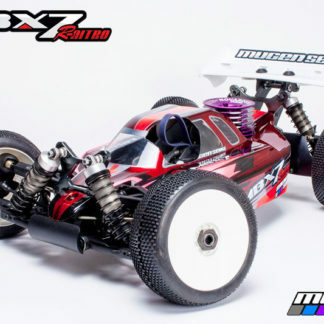 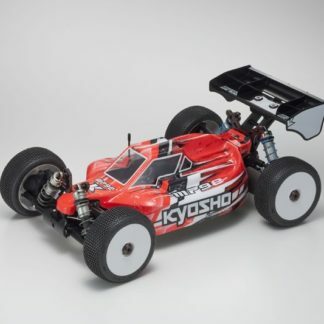 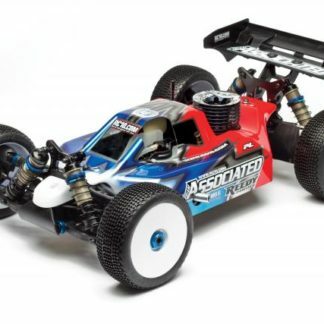 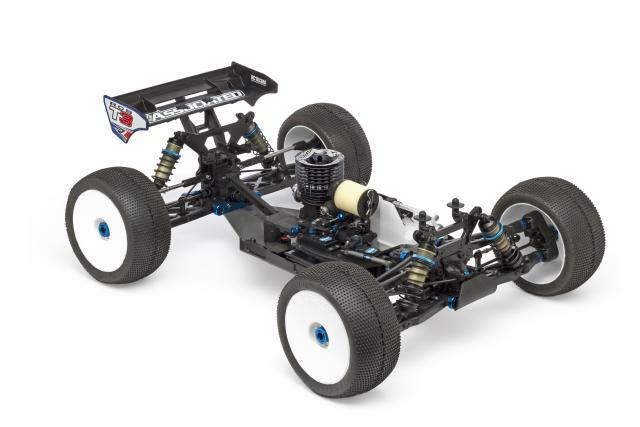 Team Associated has taken all of the performance engineering developed for the RC8B3 nitro and RC8B3e electric buggies and used the data to create our new nitro powered truggy, the RC8T3 Team Kit! 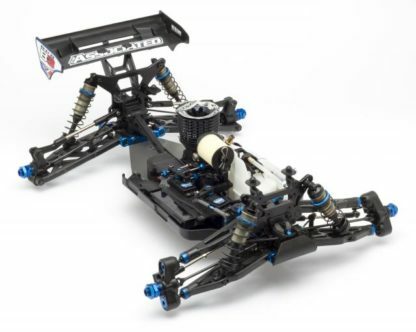 The RC8T3 shares many parts with the RC8B3, offering the perfect solution for multi-class racers. Using a unique proprietary hard anodized 7075-T6 aluminum chassis specifically designed for optimum weight distribution and superior handling, the RC8T3 drives like a champ. 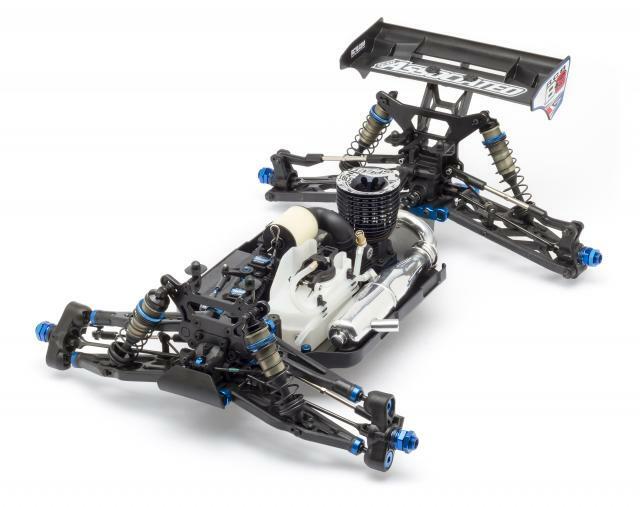 World class suspension package: The RC8T3 has received an updated suspension that features a pillow-ball front upright for maximum steering and durability. Refined 16mm Big Bore hard-anodized aluminum threaded shocks and 3.5mm alloy shock shafts provide plush suspension travel. 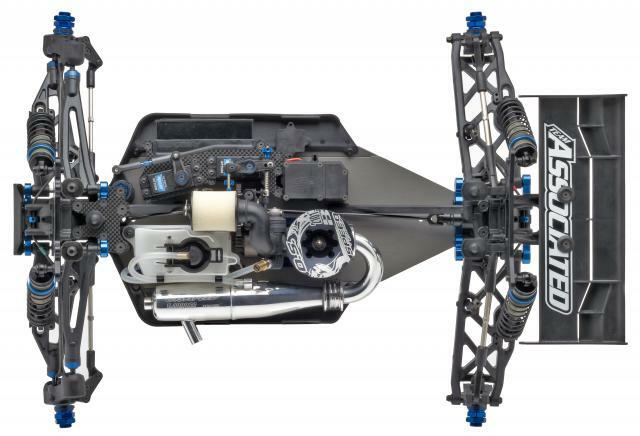 The RC8T3 features precision universal drive shafts front and rear to keep suspension travel free through the entire stroke. 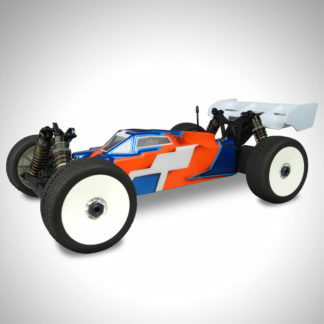 Designed to handle and built to win, just like its brother the RC8B3, the RC8T3 Team Kit imparts the highest level of performance that will help take your 1:8 program to the next level.